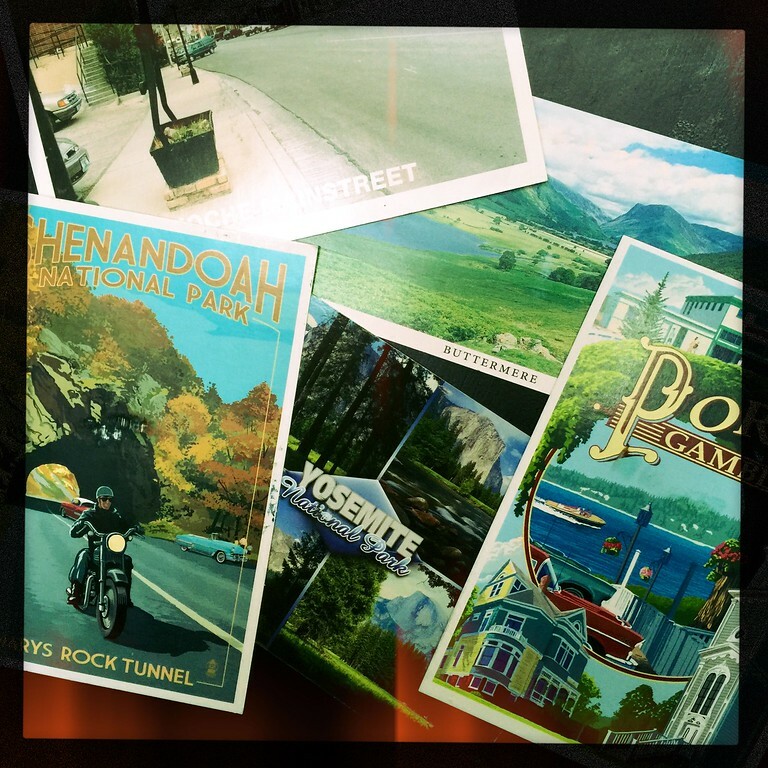 In a funny way, postcards are like olde-tyme, analog blogging. The back of each one contains more information than you might consider at first glance. You get the history, geography or maybe even an art lesson regarding whatever is on the front of the card. Often cards will come from places I haven’t heard of directly, so I get to learn something new. Then, the sender will dash off a note. Sometimes it’s just a quick ‘hello,’ sometimes it is a paragraph about their travels, or maybe a memory from their lives that they entrust to you. Above all else, each card says I thought of you without ever saying those words. That is priceless. I love postcards, hand written thank you notes, and letters in the mail. We still make our kids write physical thank you notes to family for birthday gifts, etc! You are right….to receive something in the mail is to know you are thought of and cared for. Just that little bit of extra effort for a tangible note is so worth it. It’s funny how little we actually write anymore. My handwriting has completely gone to hell as a result.